WARNING: April Fools! The post has been kept for historical reasons. This time two years ago we released the very first version of BuildCraft for 1.11.2. This time, we'd like to do something a lot more interesting than just update to a new version, so here is a list of the new and upcoming features in buildcraft 8.1! As with every release it's most useful to know which minecraft version it will be available for, so that modpack makers can plan out which mods they include. As such we have decided to release BuildCraft 8.1 on 1.10.2. (Download links at the bottom - but don't scroll there yet! There's still a lot of new features to cover). 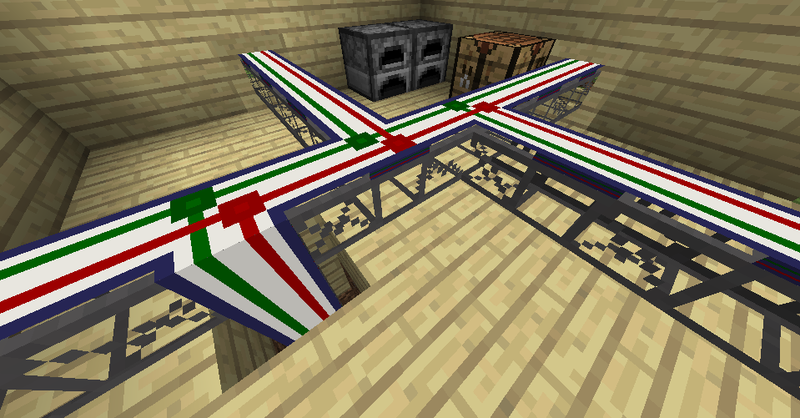 Item transport pipes are one of the most boring and confusing elements of the mod. All of the feedback we have received has been todo with how slow and dumb they are: requiring careful planning, placement, and lots of tweaking in order to just send an item from one chest to another. The main improvement is to scrap all of that and bring lots of simple, logistic inteligence to each and every pipe. In 8.1 several item transport pipes will be removed (wooden-diamod extraction pipe, iron pipe, diamond sorting pipe, emzuli extraction pipe) and be replaced with 3 different basic pipes: the insertion, extraction, simplistic, and crafting pipes. The insertion pipe is the simplest of them all: it will automatically request selected items from nearby extraction pipes, and store them in the connected inventory. 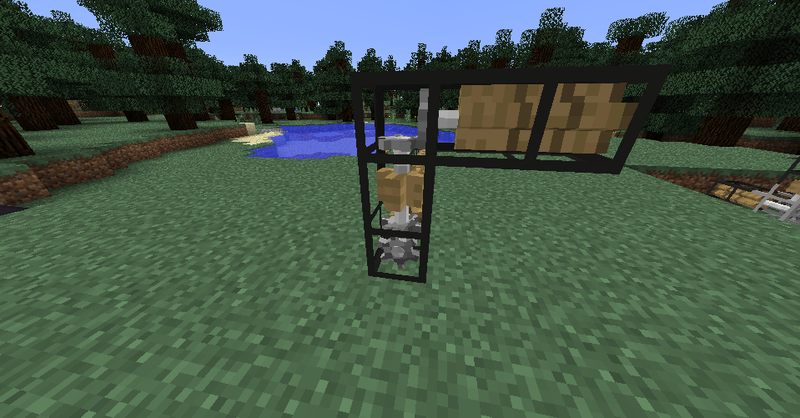 The extraction pipe is a bit more complicated: it will automatically extract items into insertion pipes, but only if the extracted items will fit into a connected insertion pipe. The crafting pipes is the most complicated of them all: it acts as both an insertion and an extraction pipe, but only for crafting tables. For as long as we can remember, BuildCraft MJ has always been an electric power type. Now however MJ is based on rotational energy - axles! These axles are placable in pipe form, and can be connected to up to 3 other pipes or machines at once. 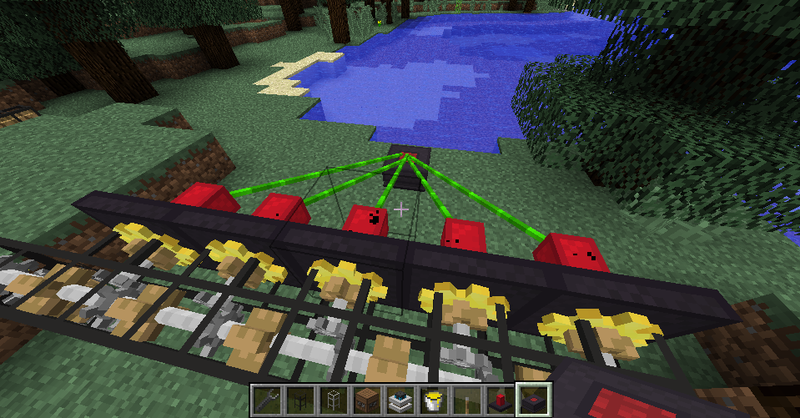 (However there is an additional requirement: you cannot have pipes connected along more than 2 axis). In addition all machines have gained gears on one or two of their sides: this is to show which sides can be connected to an axle pipe, and also how fast the machine is working. All axles have some friction, which increases as the axle turns faster. However, machines will only work at their fastest speed when the axle they are connected to is spinning as fast as possible! To make matters worse, engines can only power axle efficently when the axle is going at a quarter of its maximum speed. In order to allow this to work usefully we are adding a new block: the gearbox. Each variant of this block has a specific ratio that the two connected axles (one on each opposite side) will rotate at. Iron axle pipes allow you to (manually or controlled via a gate) connect and disconnect two opposing axles from each other. Both this and gearboxes allow you to build something akin to a real car gearbox, in order to maximize efficiency of the engines powering it, while reducing the amount of power lost to friction. In addition to normal friction, stationay axles also have static friction. The static friction must be fully overcome before the entire axle chain will start to rotate, and you need an engine with large amounts of MJ per pulse in order to overcome this. Stirling engines will only work for very small networks. To compensate for all of that friction we will be adding a new fluid: lubricant. Lubricant can be added to any axle pipe in order to decrease it's turning (dynamic) friction, at the expense of increasing the static friction. Engines have changed a great deal in order to work with this, and now every engine generates a fixed amount of power once per pulse, rather than a little bit every tick. This means that the hotter a combustion engine runs, the more power it will produce. Careful balancing of gates, coolant flow, and engine switching will be required to maximise the efficiency of a bank of engines. 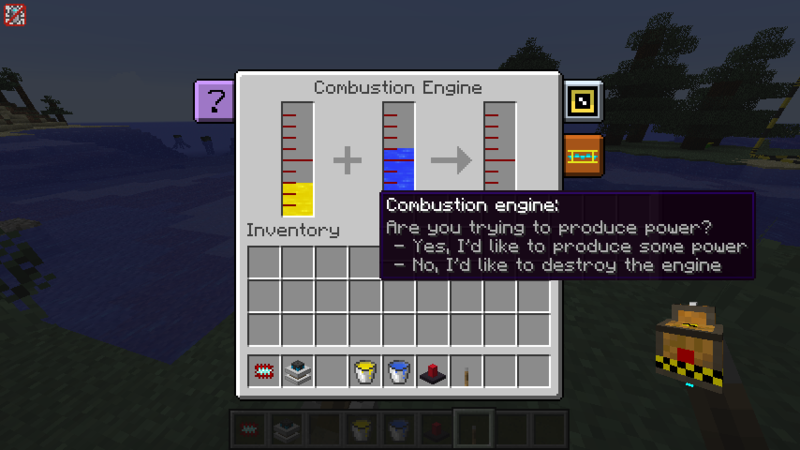 Whenever an engine looses power due to one of the previously mentioned changes it will emit smoke particles. After a long and careful consideration we've decided to remove robots. They are a very overused portion of the mod, and require a lot of code to make them work. As such we are able to shave off about 2 MB from the final jar file! However they won't be removed altogether: as players have long loved their ease of use we don't think it's a good idea to remove them completey. Instead they will appear alongside helpful messages in GUI's, to teach you exactly which buttons do what in each screen. The charging table has been removed as it is impossible to store rotational energy. The programming table is scheduled to self-destruct whenever placed, along with a warning message stating the robots have been removed, and as such it does not need to exist. 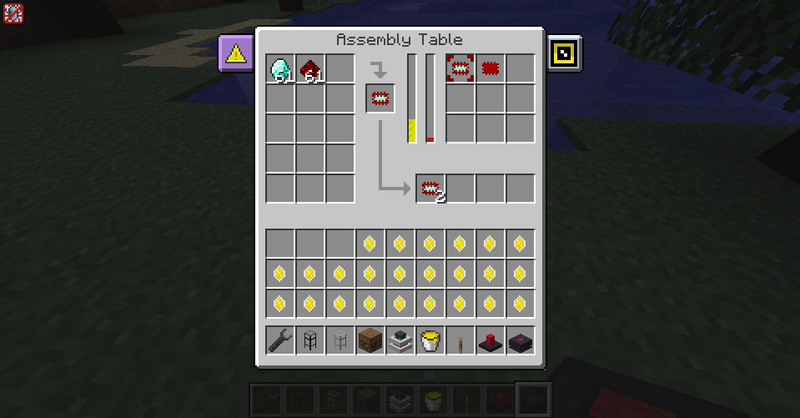 The assembly table has had some minor changes, namely that it stores partially assembled items in a holding slot, and has an output inventory for completed items.